Telecommute One Day a Week…or More! Washington, DC is consistently ranked as one of the top ten worst cities for traffic. This is one good reason to leave the car parked one day a week (or more if possible!). A study of the 2015 workforce found that almost 3% of U.S. workers telecommute at least half of their week. Telecommuting one or more days a week helps reduce traffic, air pollution, energy use, and your stress level. You’ll also gain an extra hour or two for work or play when you work from home. The first step is to have a conversation with your boss and human resources department. Some jobs, careers, or workplaces are just not favorable to teleworking. Go with an open-mind, answers to common questions, and a plan. Consult this employee self-help guidedeveloped by the Metropolitan Washington Council of Governments to learn more about what telecommuting is and how to address it with your boss. gov provides guidance for employees and managers on best practices for teleworking and how to implement a telework plan at your office. Information for businesses about starting or expanding telework programs from the National Capital Region Transportation Planning Board. Sign-up for Clean Air Partners, then help to reduce pollution and smog by telecommuting from home on poor air quality days. Some offices have teleworking plans, and even offer financial incentives for employees to work from home. Employers may be eligible for tax credits up to $2,000 for each laptop used by telecommuters. 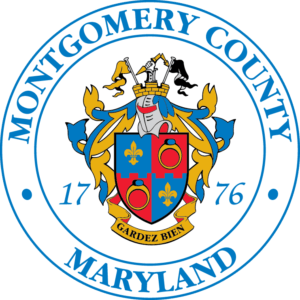 Other incentives from Montgomery County can be found on the same page.